Just off US highway 24, St. George Elementary School students, grades three through six, sat criss-cross applesauce in the multi-purpose room. Their focus was up front, on the Kansas State University soccer team. The team was there to donate soccer goals that were no longer in use to the elementary school. A need that was identified by St. George’s counselor Kris Bailey. 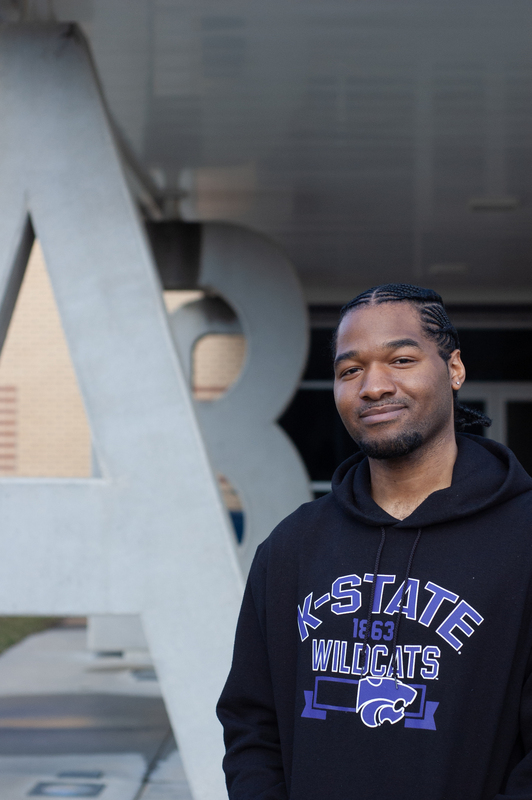 Bailey is a K-State alumnus who graduated with a bachelor’s in education and a master’s in student counseling. He has been working at St. George since the start of this school year, and early in the year he noticed something during recess. “I was just roaming around recess in like October and they’re just kicking the ball around back and forth with no way to keep score and it just seemed chaotic,” Bailey said. 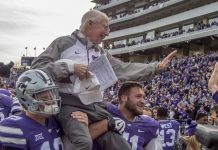 To help alleviate the chaos, Bailey had the idea to reach out to Mike Dibbini, K-State soccer team’s head coach, to see if there were any programs that donated goals to schools in need. Bailey said Dibbini then offered to donate some of the team’s unused goals to the school. They then planned to have an assembly for the students talking about determination both on and off the field. 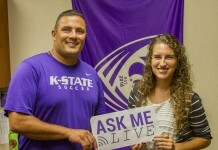 Bailey said normally the assemblies and activities tended to be “boy-oriented.” Having the K-State soccer team, an all women’s team, talk about self-esteem and hard work, he saw as a great opportunity for those young girls. For the players, creating and developing community connections was a way to give thanks to the fans that show up to the games and show the value of sports. Laramie Hall, midfielder and junior in psychology, said the team was there to give students a message of encouragement. 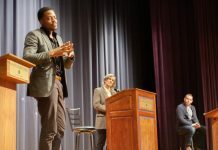 “I think the main goal of coming to was just to kind of give them a message of encouragement and confidence and kind of try and give them a piece of advice that might lead them on a path to be successful,” Hall said. Hall, who has been playing soccer since she was four, believes that team sports helps young kids to celebrate others’ success. “One person might score the goal, but you’re all celebrating it and just learning to be selfless and celebrate what other people are doing,” Hall said.